Having an RV is a truly fun and exciting way to spend time with your family and to see the sights of the country from the road. 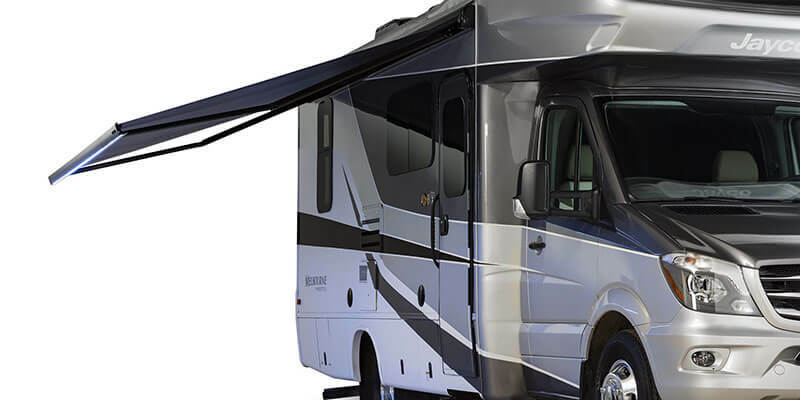 Vogt RV Centers knows that a recreational vehicle is a great way to fuse the benefits of camping that leave you mobile with the conveniences of renting a cabin or hotel. The Jayco Melbourne Prestige is an incredible way to combine durability and adventure while indulging your passion for exploration. With the Jayco Melbourne Prestige, we are offering the best that is available in a non-towing RV. 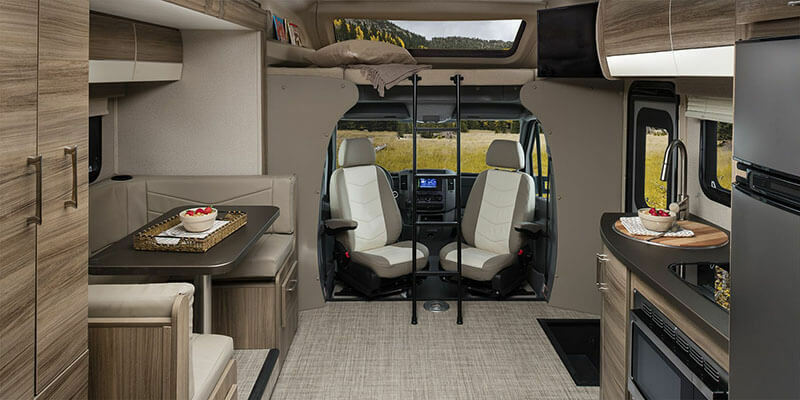 The model is gorgeously-built on a luxury Mercedes 3500 chassis and it is the perfect way to enjoy your next adventure in style, while still having access to stay nearly anywhere that suits your taste. If you are looking for an adventure that doesn’t sacrifice luxury, Vogt RV Centers has the perfect RV for you. 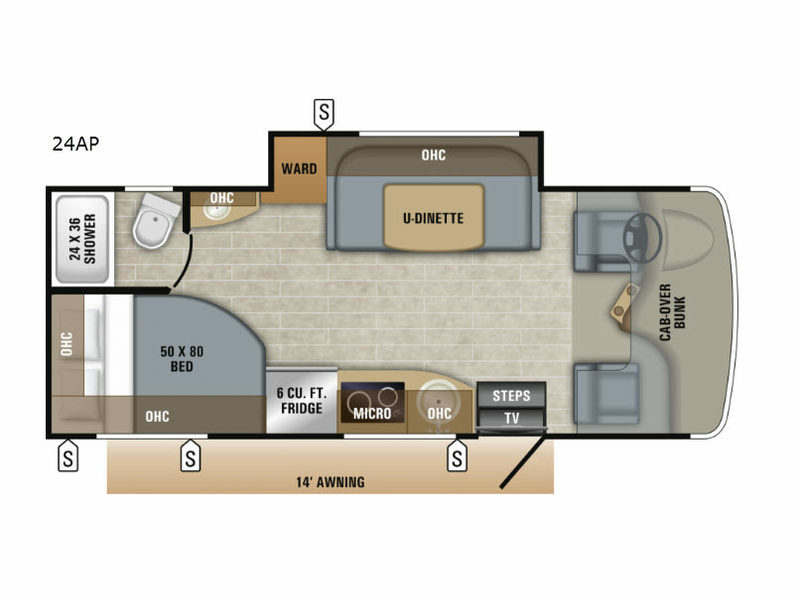 The master suite in the Jayco Melbourne Prestige has a partition to ensure privacy, as well as a wealth of storage throughout the cabin. This storage includes drawers and a boudoir-style closet, as well as a full master bath. The Jayco Melbourne Prestige prides itself on offering every amenity that you could want in the most upscale of cabins or hotels. The Melbourne Prestige comes with a full dining table, a deep bowl sink, a cooktop, a microwave, and a full refrigerator. 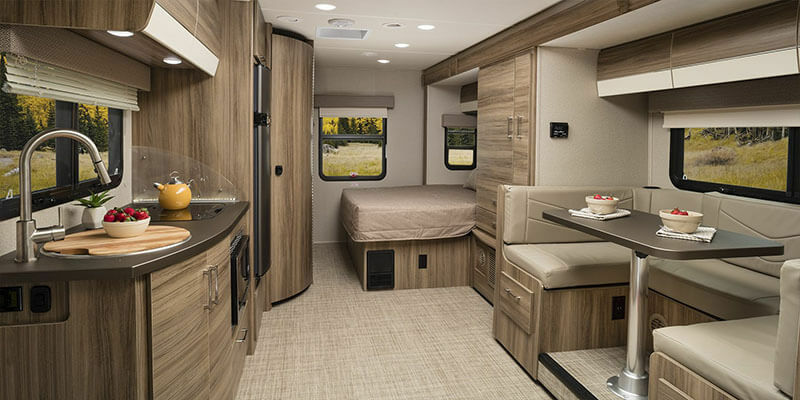 The RV comes with a stainless steel sink as well as a full wooden sink covering that doubles as a durable cutting board for ease of food preparation. 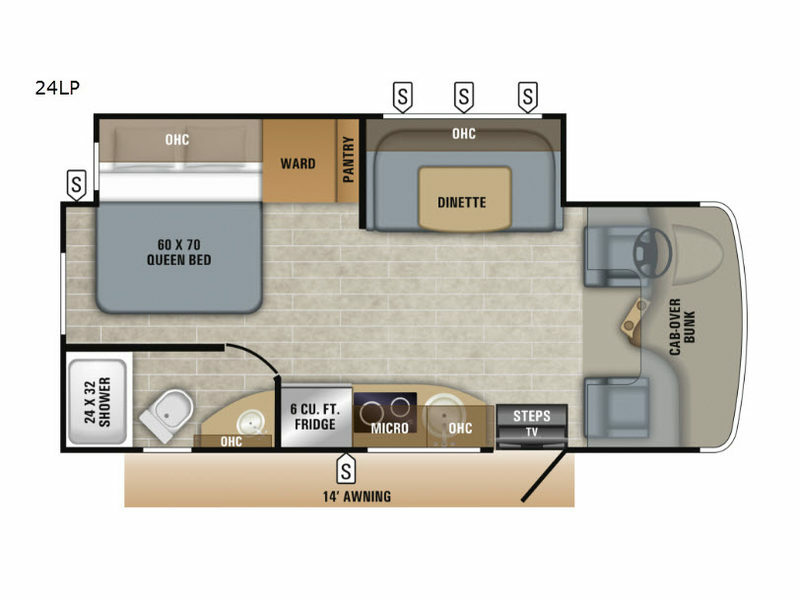 Perhaps one of the biggest complaints about RVs is the lack of large refrigerators. We are proud to offer a large, nearly standard-size refrigerator with both freezer units and crisper drawers. 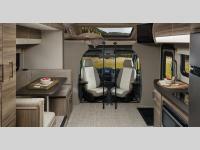 This, paired with the additional kitchen amenities allow for all of the fixings of home while on the road. There is also leather seating throughout the main cabin with a large LED TV in the living room of the cabin that is excellent for watching a movie.